Boston Police Commissioner William Evans has said he has qualms about the cameras. City Council members expressed mixed opinions about introducing body cameras in Boston at a hearing Wednesday, while residents said they want to see them adopted and the police department’s top official maintained his wait-and-see approach. The proposal, which comes on the heels of a series of controversial police-involved shootings nationwide, calls for all uniformed and plainclothes officers in the field — excluding undercover or off-duty officers — to wear body cameras on their lapels and record all interactions with the public. Under the proposal, officers would be responsible for turning the camera on and ensure it is recording when they are responding to calls, pursuing suspectst crime scenes, and during searches, arrests, and physical confrontations. Police Commissioner William B. Evans, who has raised concerns over issues of constitutionality, privacy, costs, and the cameras’ impact on the department’s relationship with the community, said that he has not ruled them out and that he and the mayor are considering them. Mayor Martin J. Walsh also has expressed concerns about the effects of the cameras on relationships between police and the public. “It really hasn’t been shown to even build trust in the community,” Walsh said last week. Evans said body cameras are not the answer to the systemic issues that plague some police departments. Some council members echoed Evans’ concerns and raised questions about when the cameras should be recording and when they should be shut off. While McCarthy cited concerns about the proposal, he said he would not oppose trying them out in a pilot program or establishing a commission to review the issue. Evans said he wanted to move slowly to ensure the city “gets it right” and to learn from cities that have implemented a program. But Councilor Tito Jackson said the Boston Police Department should take the lead. Boston is not immune to the kind of contentious incidences that have happened across the country, said Segun Idowu of Mattapan, a co-organizer of the Boston Police Camera Action Team, a citizen group that crafted the legislation, which was sponsored by Councilor Charles Yancey. “As an African-American whose grandfather participated in the civil rights movement, I’ve heard let’s take it slow for a long time,” he said. 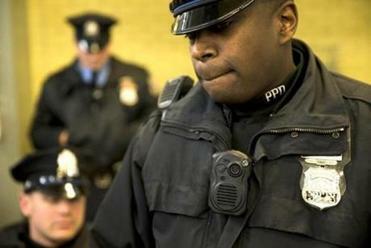 Among the country’s 25 largest cities, Boston is one of four that has yet to implement or try out body cameras, said Carol Rose, executive director of the American Civil Liberties Union of Massachusetts. The other cities are Jacksonville, Fla.; Columbus, Ohio; and Nashville. Police in major cities like New York, Chicago, Detroit, and Washington, D.C., use body cameras or have participated in a pilot program. Evans told council the $3 million a year it would cost to fund the program is of concern. 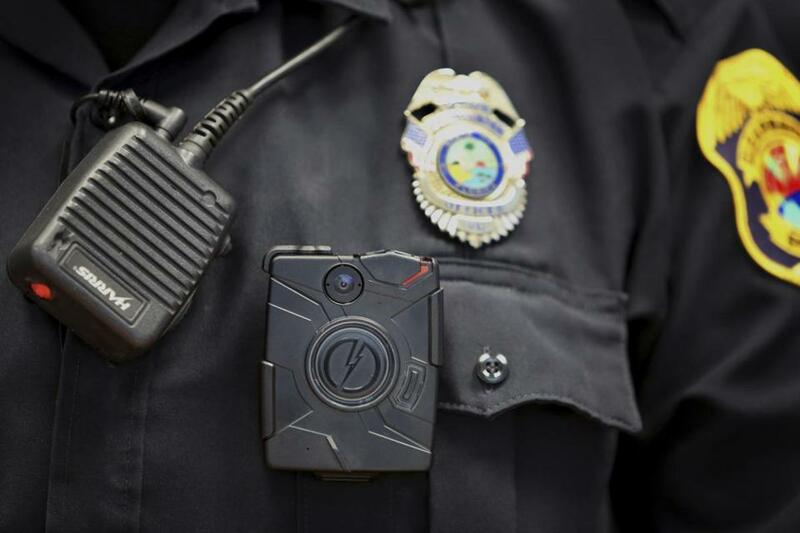 But supporters of body cameras argued that the money the city spends on lawsuits against the department could decrease with the use of the devices. Briana Cardwell, a 21-year-old junior at Bowdoin College said the cameras would go a long way to restoring the public’s trust in police. Jan Ransom can be reached at jan.ransom@globe.com and on Twitter at @Jan_Ransom.